Drama Queen (super mag-emote): Mei Ri Christmas! You might be wondering about my spelling of the title, well it was brought upon my latest KDrama addiction – Mary Stayed Out All Night. 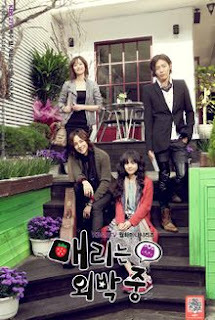 I can’t help smiling or feel giddy (kilig) on every scene of Mu-gyul (Jang Geun Seok) and Mei Ri (Moon Geun Young). I am biased with JSK, love him in You’re Beautiful, but really these two are too cute together. Story wise, it’s a bit over or one-in-a-million-chance-of-happening, nevertheless I’m completely hooked with it. I’m waiting for ep 7 to be subbed. If you want a feel-good KDrama to watch, this is definitely it!